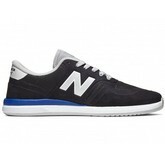 New Balance's latest design, the 420 is a runner-inspired silhouette that offers performance as well as style. 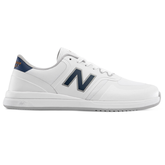 This modern design features a mesh and a rubberized synthetic upper that makes for a breathable fit and is finished with bold, white New Balance logo graphics at the sidewalls. The 420s offer a padded insole as well as a shock-absorbing EVA midsole for a cushioned feel that supports your feet and protects your joints, no matter the activity. 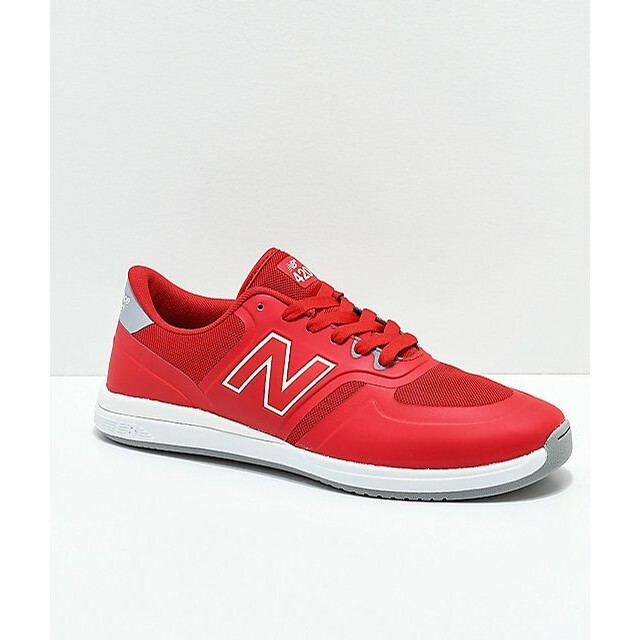 420 Red & White Shoes from New Balance Numeric. 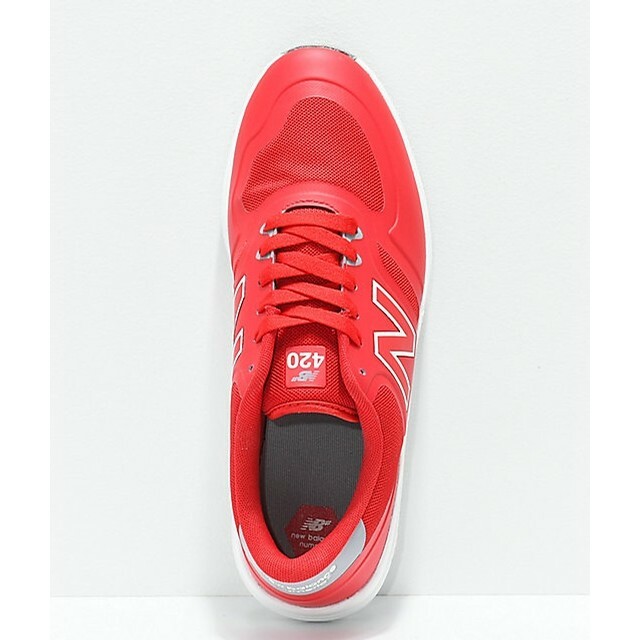 Mesh and rubberized synthetic upper. 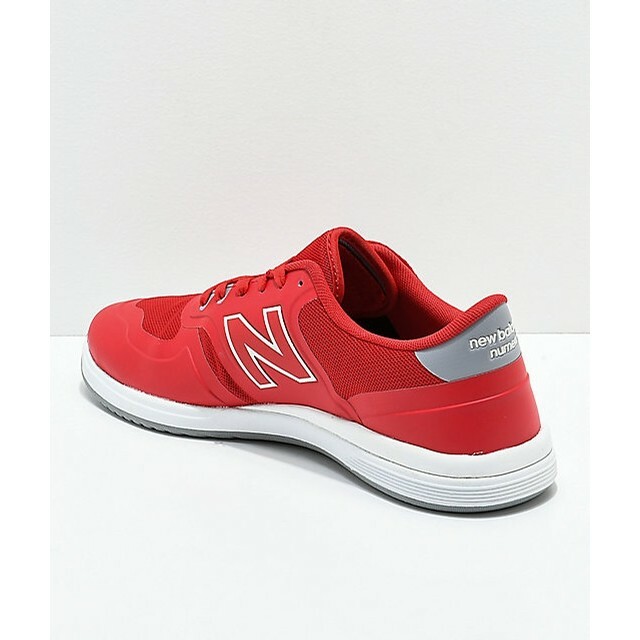 Lightly padded, mesh-lined collar and tongue. Lace-up closure with recessed eyelets. Textured rubber outsole for traction. 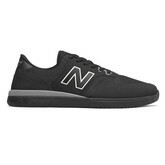 New Balance logo graphics throughout.